It is common for blockages to develop in arteries that carry blood to the heart, which can lead to heart attack and other serious heart diseases. Stents are small, expandable metal mesh tubes that are inserted in blocked heart arteries during a heart catheterization procedure to improve blood flow to the heart muscle. Approximately 600,000 stent procedures are performed each year in the U.S. at a cost exceeding $12 billion. Recently, a multi-disciplinary team of engineers, biomedical scientists and cardiologists at the University of Missouri received a $1.5 million National Institutes of Health grant to further develop a revolutionary stent that could change the cardiovascular landscape. This, combined with previous funding from the NIH, brings the total granted for the project to $4.6 million to implement the device. This video is available for broadcast-quality download and re-use. Closed captioning video is also available. For more information, contact Cailin Riley, RileyCi@missouri.edu. Currently, two types of stents are available in the medical device market. The drug-eluting stent, which is most commonly used, is covered with therapeutics that alleviate arterial re-narrowing; however, they also cause clotting and can be risky. The bare metal stent doesn’t contain the drugs that limit re-narrowing and may need to be replaced over time. “Drug-eluting stents typically work well, but have potential drawbacks, as the drugs can cause blood clots leading to harmful and potentially fatal consequences; these stents are usually paired with blood thinning drugs to combat potential clotting,” said William Fay, a professor of internal medicine, medical pharmacology and physiology in the MU School of Medicine and an investigator in the Dalton Cardiovascular Research Center. Nanova, Inc., a spin-off company founded by MU researchers, including Hao Li and Qingsong Yu from the College of Engineering, are tackling this problem. The Nanova stent uses a nanocoating that molecularly binds to the device and helps block the re-narrowing that often accompanies normal stents. The specially developed coating could also avoid the same clotting problems associated with the drug-eluting stents. After Nanova created the coating, Mark Chen, Nanova co-founder and chief scientist, reached out to MU researchers to begin working on animal testing in preparation for eventual human tests. 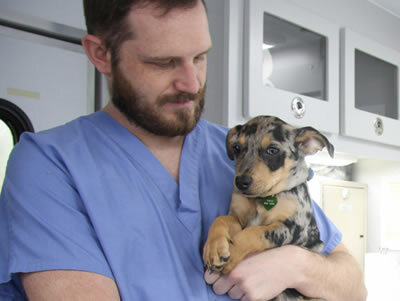 Doug Bowles, chair of the Department of Biomedical Sciences in the MU College of Veterinary Medicine, and Fay have partnered on similar past projects related to coronary heart disease. The results from testing the stent in healthy pigs were encouraging, and the next step is to finalize the data by studying how the stents perform in pigs with heart disease before applying to begin conducting tests in human subjects. Nanova highlights the university’s impact on the state’s economic development efforts, including commercialization of research conducted at Mizzou, workforce development and job growth, quality of life improvements for residents while attracting corporations and businesses to the state. During the past five years, companies commercializing MU technologies have secured hundreds of millions of dollars in investments and grants to advance their commercialization efforts. In 2016, the Office of Technology Management and Industry Relations reported that Mizzou received $14.9 million in revenue from more than 40 technology licenses.